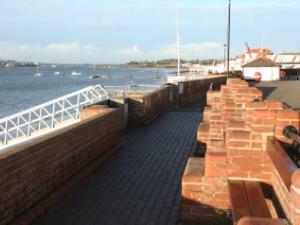 Burnham's picturesque quayside is the perfect place to relax and unwind. Spectacular views across the Crouch and of the numerous listed buildings make it a popular spot for locals and visitors alike; not to mention the many artists who are drawn to this beautiful area. Sunsets are simply stunning from this unspoilt riverside location and hours can be lost simply watching the comings and goings of various sailing craft. Nearby, the High Street features a Victorian octagonal clock tower, a variety of local independent shops, a good choice of restaurants and pubs, and further along the quay, the idyllic surroundings of Riverside Park provide an unrivalled setting for a picnic.